For almost 80 years, marijuana has been stigmatized as a dangerous, addictive, gateway drug accompanied by side effects that would change America’s moral character. The plant and its industrial cousin, hemp, were both vilified as part of a national slander and propaganda campaign that could easily become the material for a blockbuster film. However, today changes in demographics, advances in popular culture and new science have all slowly turned back the curtain to make medical cannabis accessible in 23 states and legal in four states, plus the District of Columbia. Still, the industry has not kept pace with the all-important public and political opinion that shapes its expansion and greater acceptance as a legitimate pharmaceutical and pleasurable diversion. While the industry has suffered through its Cheech and Chong development stage, it is now ready to be seriously considered as a viable commercial industry with a distinct political and social force. One way to do that, aside from making strides in decriminalization and legalization, is through public relations. 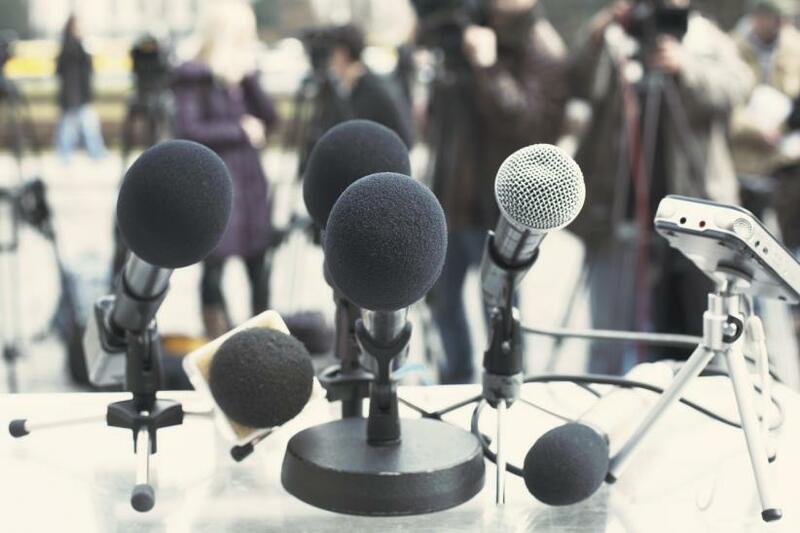 PR is defined as presenting information about a company and its ongoing operations in the best light possible, so the public, (including all of a company’s key audiences) believes the company’s message is true and valuable. Modern PR traces its roots back to the 1920’s when Edward Bernays (a nephew of Sigmund Freud) almost single-handedly invented the industry as corporations, the middle class and media expanded. In the corporate world, PR was often downgraded since it focused too much on tactics, as opposed to contributing to corporate strategy. But the Internet, global competition and flattened corporate hierarchies have made PR important again as being a significant contributor to a corporation’s bottom line and public perception. But PR in the cannabis industry is relatively new. No major campaigns or brands have yet been developed, but this also presents a great opportunity. Instead, what will make the cannabis industry truly transformative is that it must retain its original identity as a renegade substance with demonstrated medical benefits and a separate social stigma that has prospered for decades as an illegal substance. Socially responsible investing (SRI) is a distinct and proven sector in the investing world that attracts individual and institutional investors worldwide who want their investments to generate positive social change. In return, SRI corporations that meet strict financial criteria and have a demonstrated commitment to the community make a more substantial case about how their financial performance and business models create a benefit for the greater community. The cannabis industry is well poised to adopt many SRI principles. To do so, SRI companies must have their guidelines in writing and comply with various environmental, social and governance requirements. They also need evidence that they have achieved these social goals. When this is demonstrated, SRI corporations have a better story to tell investors than companies that just present financial data. SRI companies can also be organized as co-ops that will anchor them to their communities and make them go-to destinations for local products and services. And to put this into perspective, SRI today is a $21 trillion sector of the global investment world. This is a 61% increase from 2012 when SRI investing was at $21 trillion. This impressive SRI growth rate is 30% faster than professionally-managed, non-SRI assets, according to a very inclusive and detailed white paper produced by the Global Sustainable Investment Review. One of the first questions many cannabis business owners ask is about their branding efforts and opportunities. In most cases, this question has no answer. The reason: branding comes from the intersections of how your business is perceived by its key audiences (customers, vendors, employees, competitors) and by yourself. Most new business owners have a Walter Mitty-type self-perception that they excel in a certain area, but, unfortunately, that perception often is not shared by anyone else. In the vast majority of cases, branding is a secondary or tertiary activity that is only possible after an identity has been forged. Then, those perceptions have to be shaped into a cohesive message or theme. Only then does a brand emerge as it first gains social value. Then as the company matures, brand value develops. Brands provide financial value because their corporate curators work to make sure the brand (the company) delivers of its promises in terms of product quality, corporate operations, and service. From start to finish, the brand discovery process could take over a year. In the interim, businesses should focus on doing their best work for their key audiences. So far, no major brands have emerged in the cannabis industry even though marijuana icons, such as Bob Markey, Julian Marley and Snoop Dog have lent their names to products. As an industry, it is important to remember that powerful, established vested interests in the judiciary, drug and law enforcement, and the pharmaceutical and liquor industries oppose decriminalization and legalization. To maintain the status quo and oppose any grass-roots pro-cannabis referendums, these forces will use disinformation and propaganda. This was recently exemplified by the intentionally misleading comments from the head of the U.S. Drug Enforcement Administration, Chuck Rosenberg, who said: “What really bothers me is the notion that marijuana is also medicinal — because it’s not. We can have an intellectually honest debate about whether we should legalize something that is bad and dangerous, but don’t call it medicine — that’s a joke.” Since the DEA has a vested interest in keeping marijuana illegal, it is not surprising that they are using their political and law enforcement power to discredit and stigmatize the cannabis industry. Expect more of this in the years ahead. Rosenberg’s misleading statements paralleled the Republican’s repudiation of man-made global warming against overwhelming scientific evidence. But what made Rosenberg’s comments more egregious was that they went unchallenged by the cannabis industry and sadly, by President Obama who could have publically repudiated the DEA chief, which would have made his administration appear more scientifically enlightened to pro-cannabis, judicial reform. Unfortunately, Obama let that opportunity slip away. Since the industry has been vilified and stigmatized for so long, public relations should be more pro-active and aggressive in terms of public education and confronting intentional disinformation campaigns at the local and national levels. The good news is that there are a number of very popular initiatives involving cannabis and military veterans, cannabis and judicial reform, cannabis and cancer patients, cannabis and people in chronic pain, and efforts to expunge the convictions of felons with non-violent marijuana arrest records who have not been re-arrested. Most of these issues have bi-partisan political support from Libertarians, Democrats and some Republicans. But that alone does not translate into real-time progress. Again, established corporate, political and judicial forces want any change to be glacial since people in power benefit from the status quo. If the cannabis industry wants to enjoy its day in the sun, it will have to push hard to advance the political process past its glacial, evolutionary pace. As a new industry, cannabis business owners have the chance to start afresh as they build their corporate credibility. This is another way of saying a corporation has to behave ethically, not only for moral reasons, but because it is good business. Studies have found that corporate credibility is the most important issue facing corporations today. This is because a company’s reputation dictates its sales success: a survey found that four in five Americans consider a company’s reputation when they choose to buy a product. Reputation also influences investing patterns. It also affects public opinion. For instance, when a company states its good intentions to resolve a problem, it makes public opinion more positive. While it may require some discipline, cannabis business owners should disregard the hype over the unfettered growth prospects of this industry. Over-optimism about an army of new investors over the horizon, bounding sales and rising return rates do not directly translate to your bottom line. To date, many industry participants say that only growers and dispensaries have been profitable, while the rest of the industry has languished. The better approach is for most small companies to build a reputation through positive daily interactions, transparency, community involvement, and delivering quality products and good service. That’s the foundation for brand creation. It is also the ticket to advancing to the next levels of growth and profitability.